I love Formula 1. I have done since I was a kid, watching what, if my memory serves me correctly (and it probably doesn’t) was the 1989 Portuguese Grand Prix. Don’t quote me on that. I was at my Nan and Grandad’s house, and the race happened to be on the telly. I was hooked from that point on. 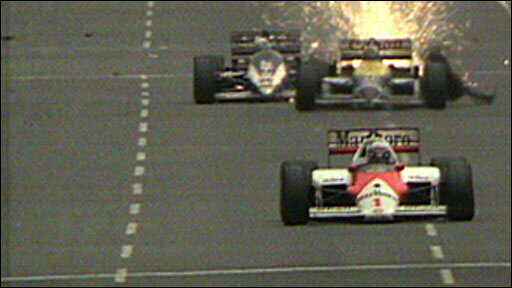 Formula 1 is a huge test of man and machine and it almost always serves up nail-biting drama. The above picture is from the 1992 Monaco Grand Prix, and the battle between Mansell, in the legendary Williams FW14B and Senna, in the Mclaren, was a hard-fought yet fair fight for the final few laps on one of the most challenging circuits in the sport. 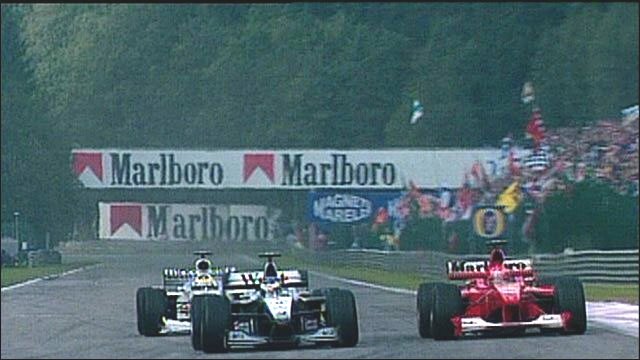 Such battles have lit up races and the contest for the title of world champion. Sometimes these battles go right down to the wire. In Australia in 1986, Nigel Mansell, cruising in third, needed to only finish the race in third to win the world championship. He looked all set to claim his first ever world title – until his tyre burst spectacularly at over a hundred miles an hour and his race – and championship – were ruined. Formula 1 requires incredible concentration and awareness. It might look as simple as ‘pedal to the metal’, but it really isn’t. One, tiny error with the racing line, one moment of braking too early or loo late, can ruin a qualifying lap, making the difference between getting pole position or not. If you’re behind another car and you misjudge your braking zone, you might plow into the guy in front and ruin both your races. On race day, you have to maintain your focus for nearly two hours, whilst also managing tyres and fuel. To simply get into Formula 1, you need to have a fair degree of talent. To win races, you need to be good, and to win races consistently and challenge for (and win) world championships, you have to be great. Names like Alain Prost, Jackie Stewart, Jim Clark, Juan Manuel Fangio, Nelson Piquet, Stirling Moss, Graham Hill, Mario Andretti, Jack Brabham, Nigel Mansell, Ayrton Senna and Michael Schumacher transcend the sport, having become legendary figures within it. To become a world champion takes bravery, determination and pure skill. The cars themselves are remarkable machines. Modern F1 cars are designed to be aerodynamic marvels, creating such incredible downforce that you could literally drive one upside down against the ceiling. They can accelerate from 0 to 100 miles per hour in a few seconds. 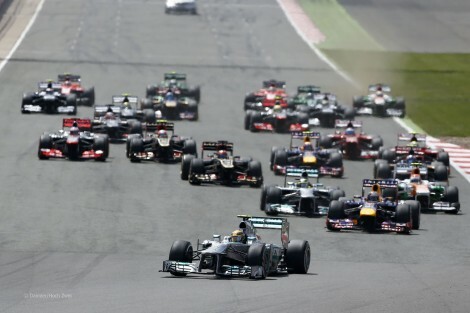 The noise of the 2013 cars, up close, is like nothing I have ever heard – it’s like 22 planes taking off at once. Should you ever get the chance, go to an F1 race. Witness for yourself how fast these cars are. See just what it takes to drive one of them. You will not be disappointed.